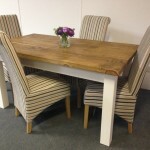 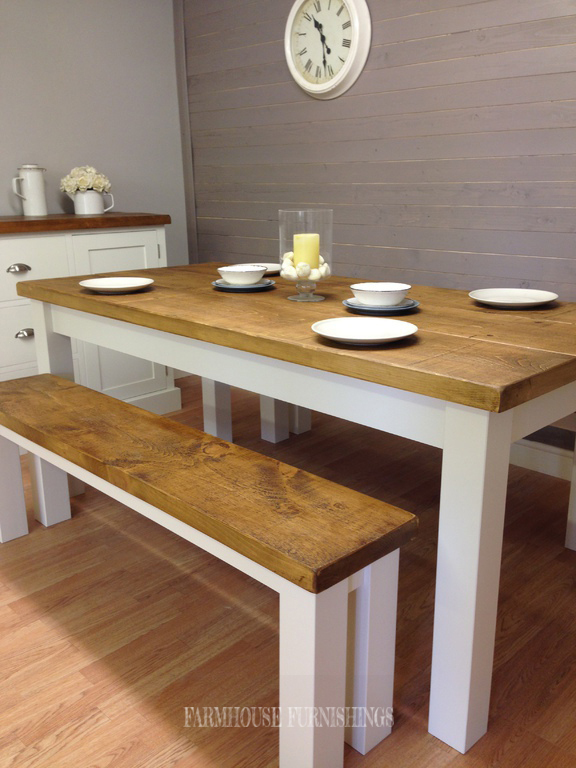 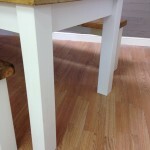 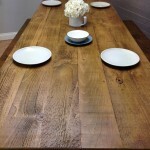 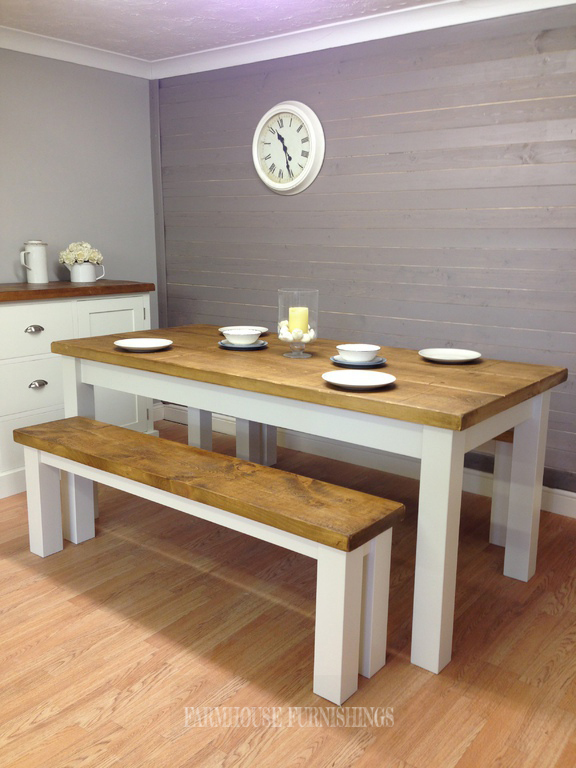 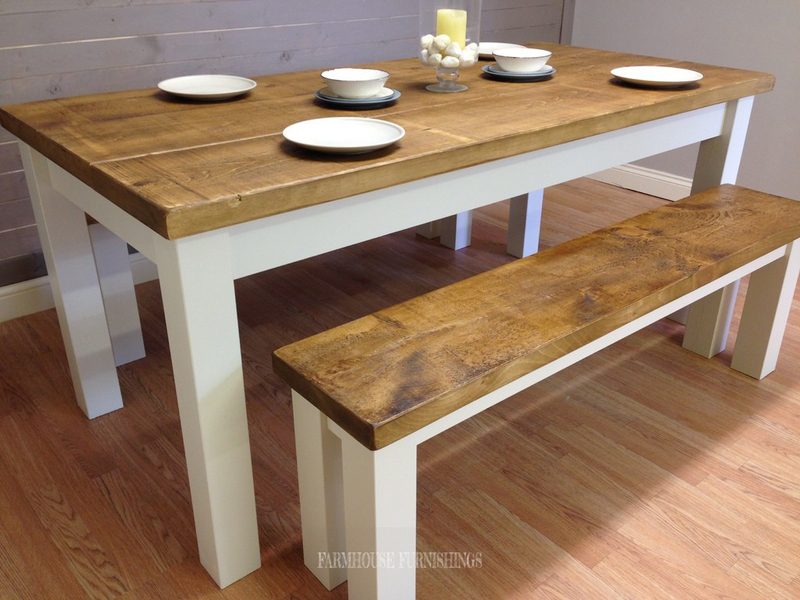 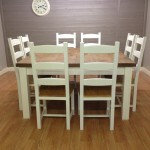 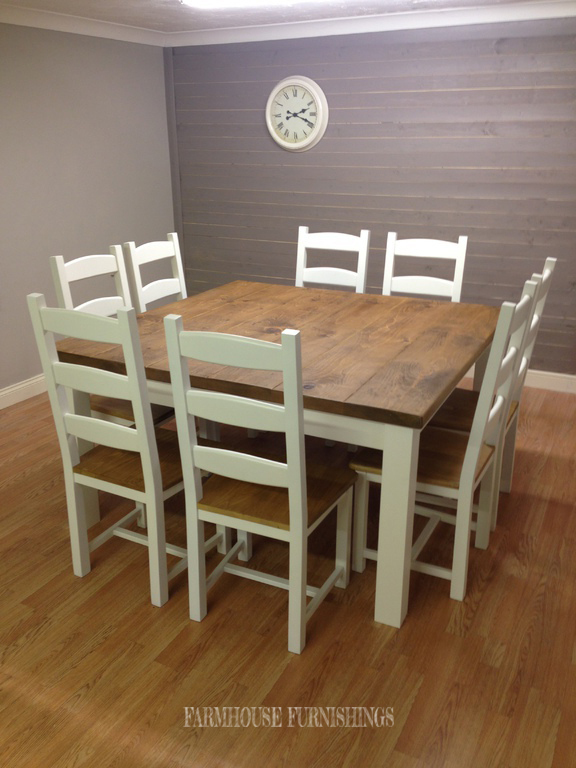 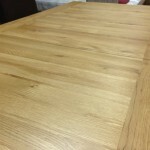 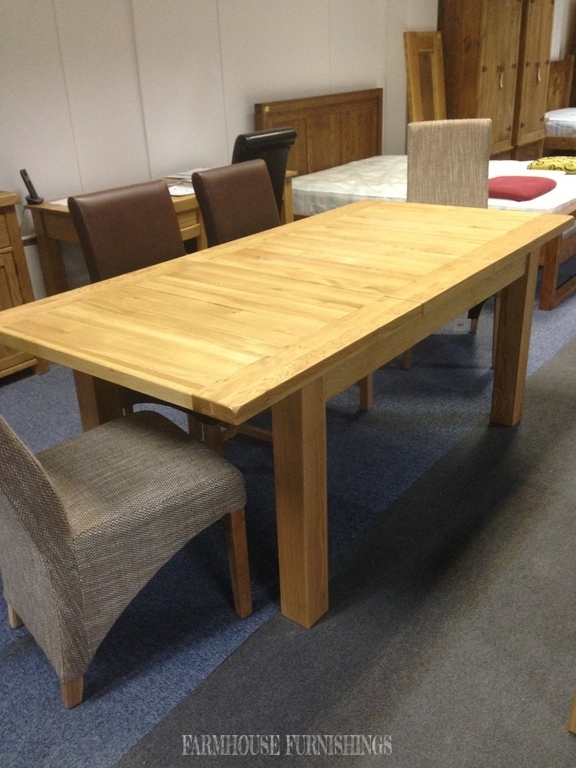 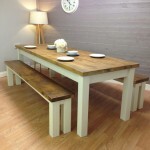 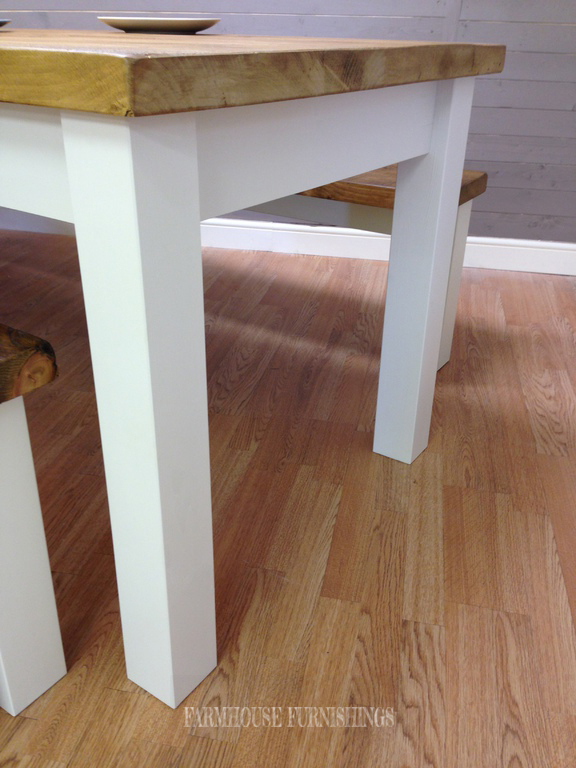 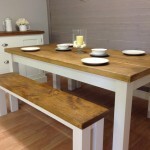 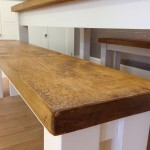 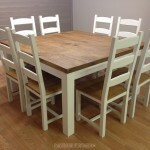 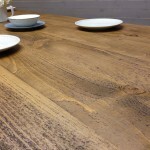 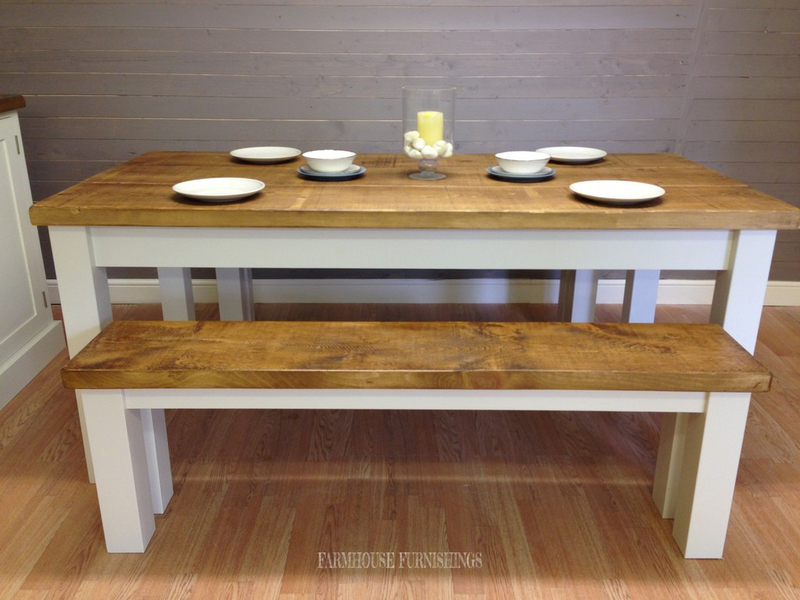 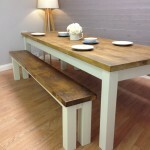 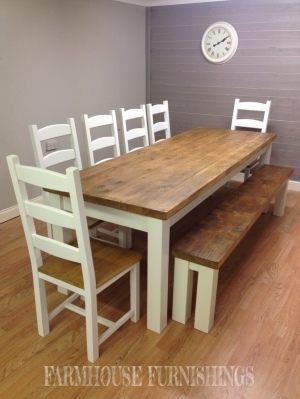 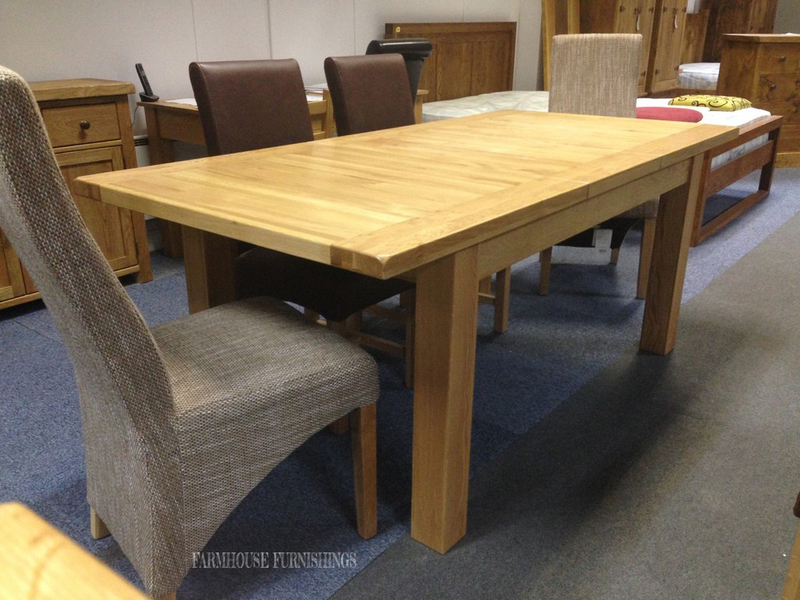 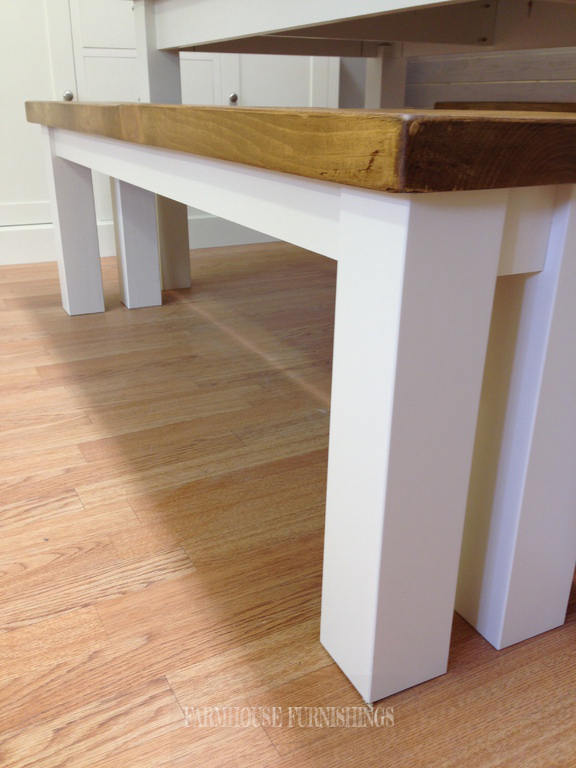 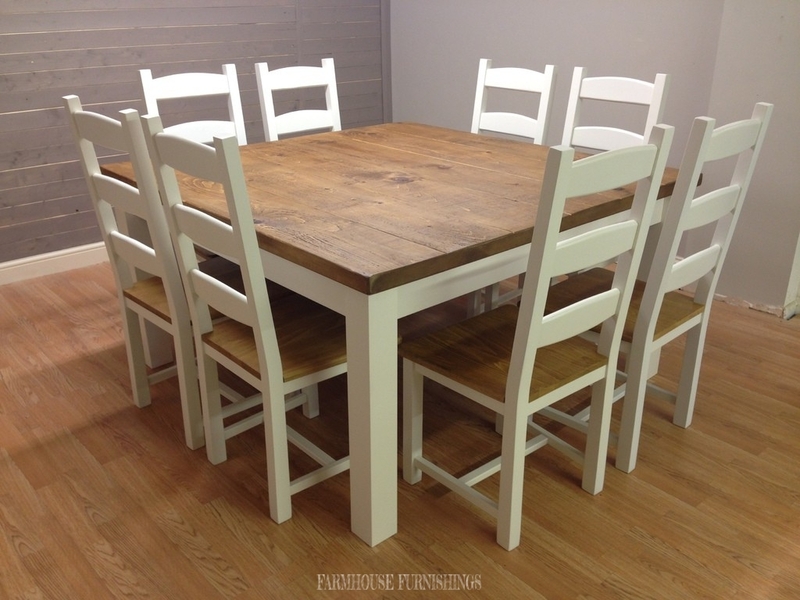 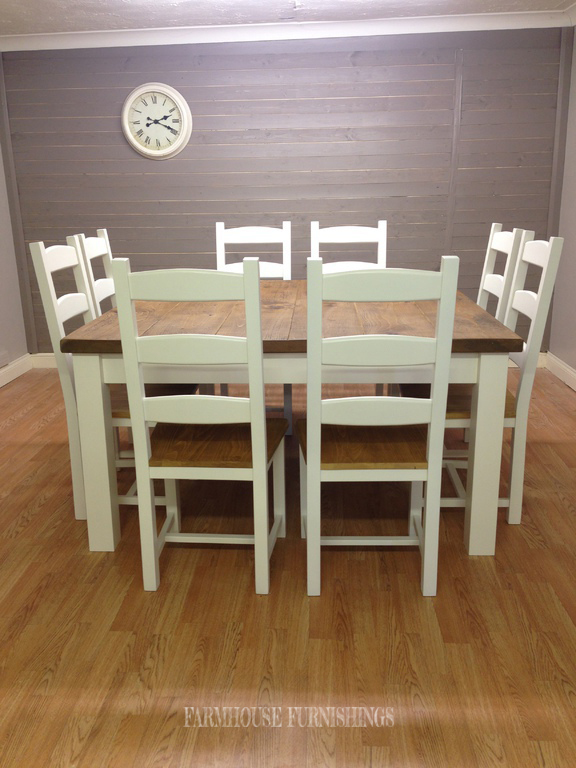 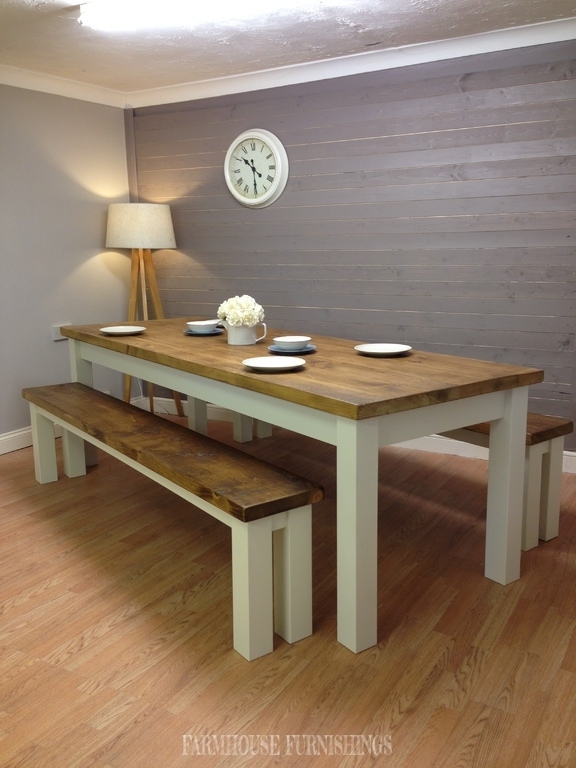 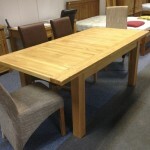 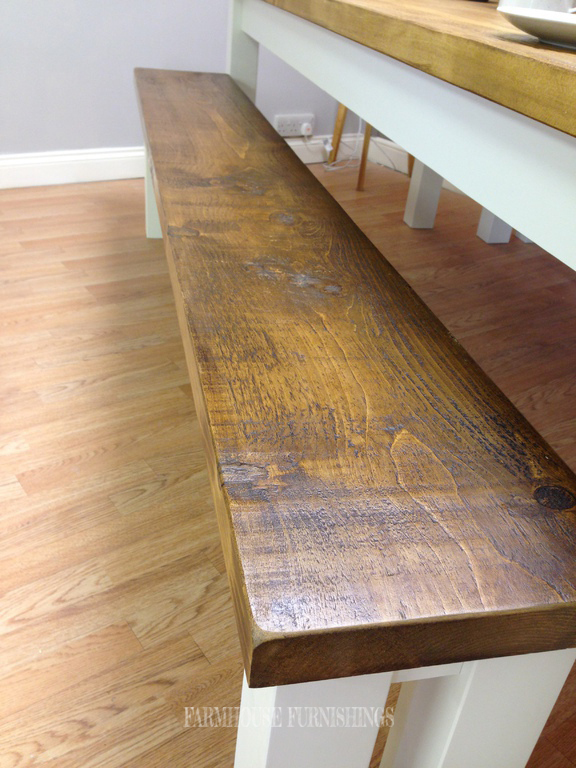 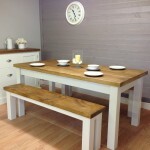 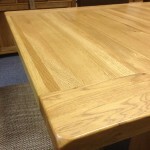 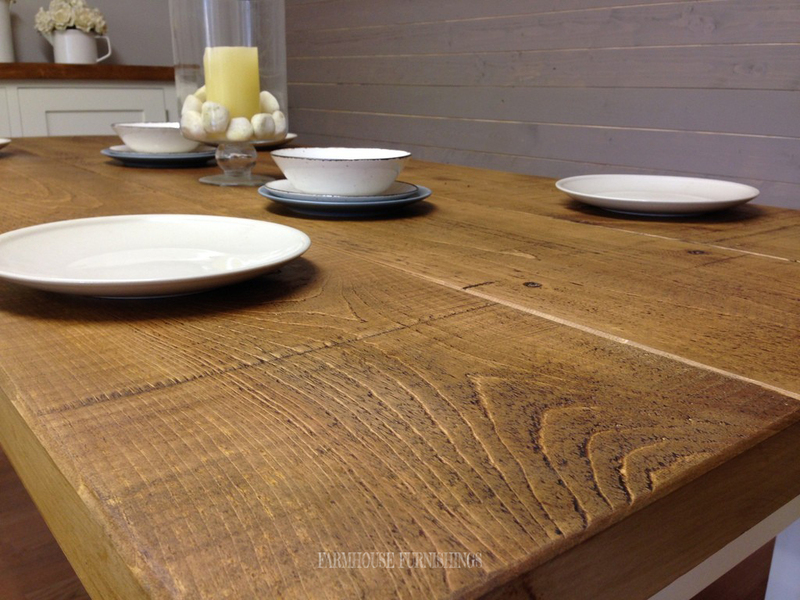 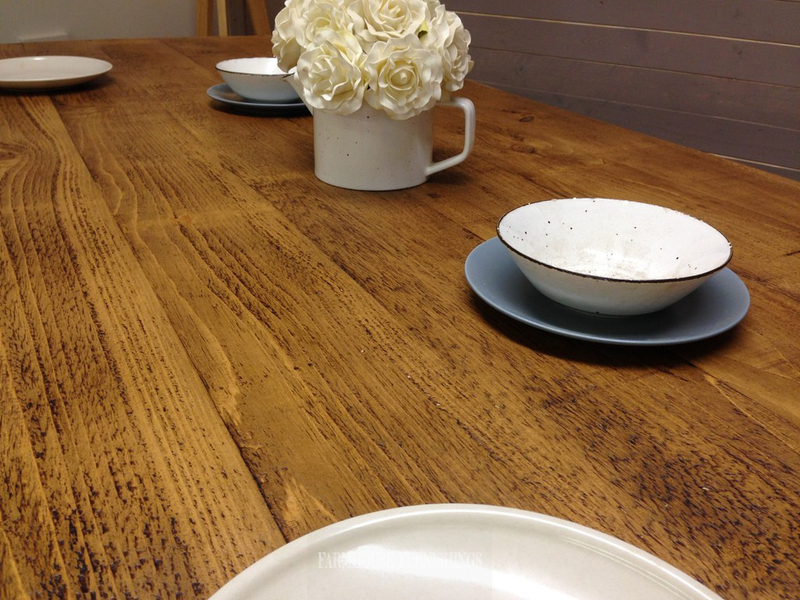 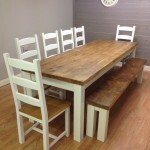 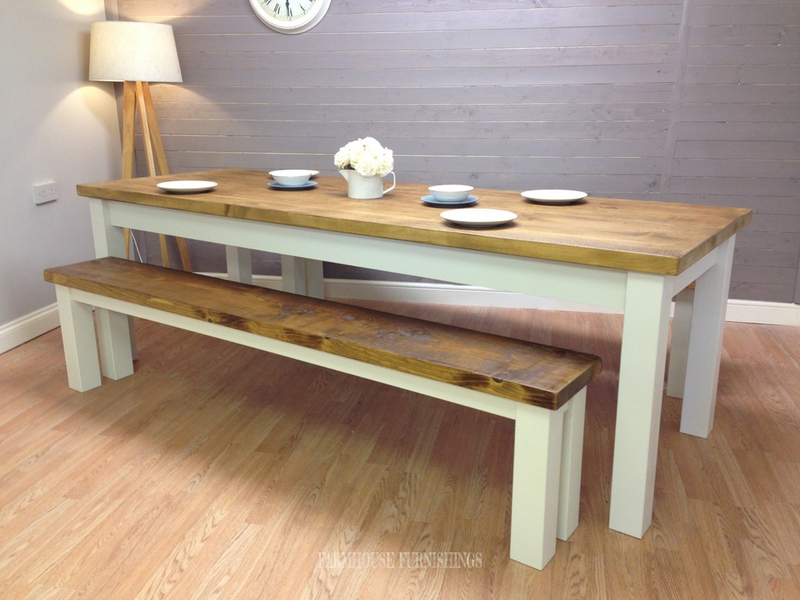 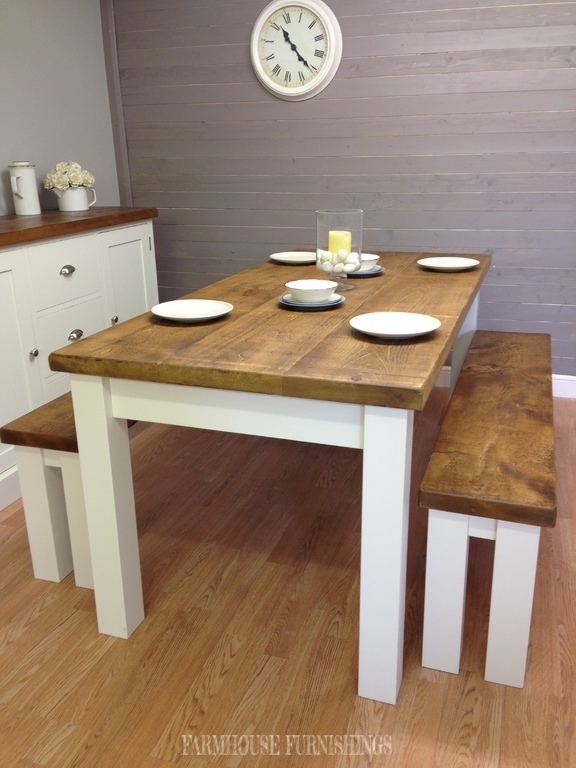 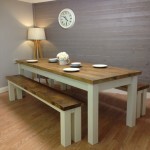 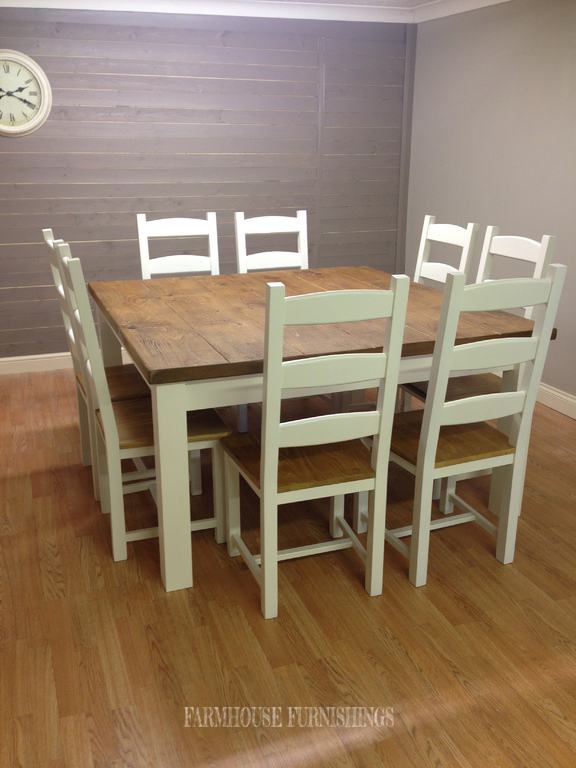 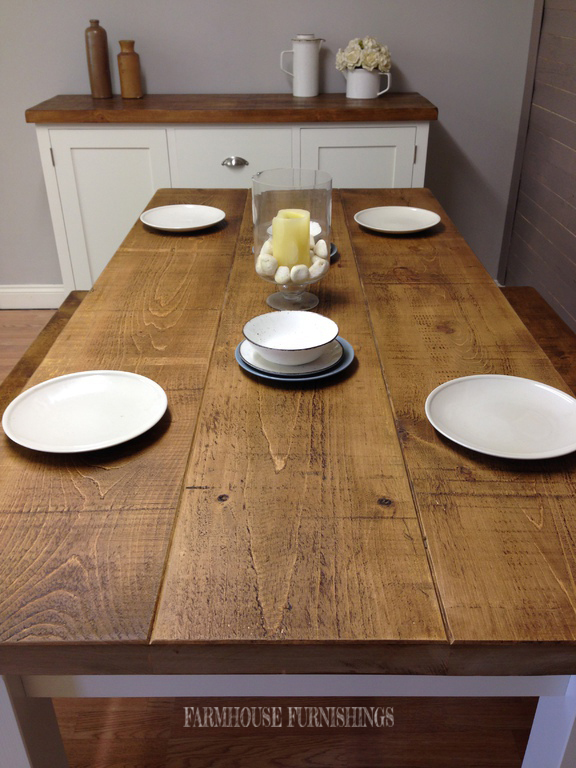 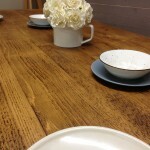 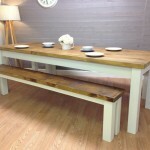 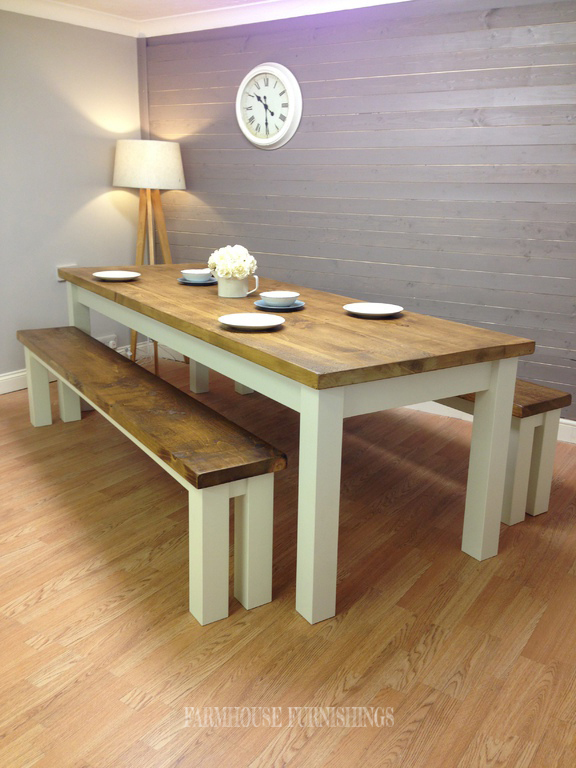 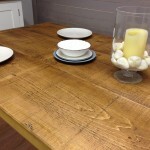 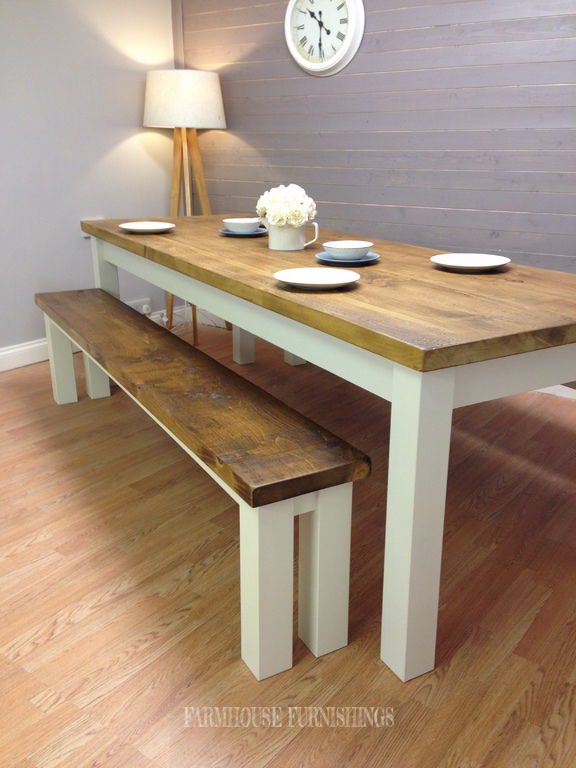 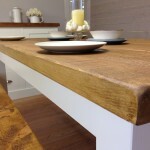 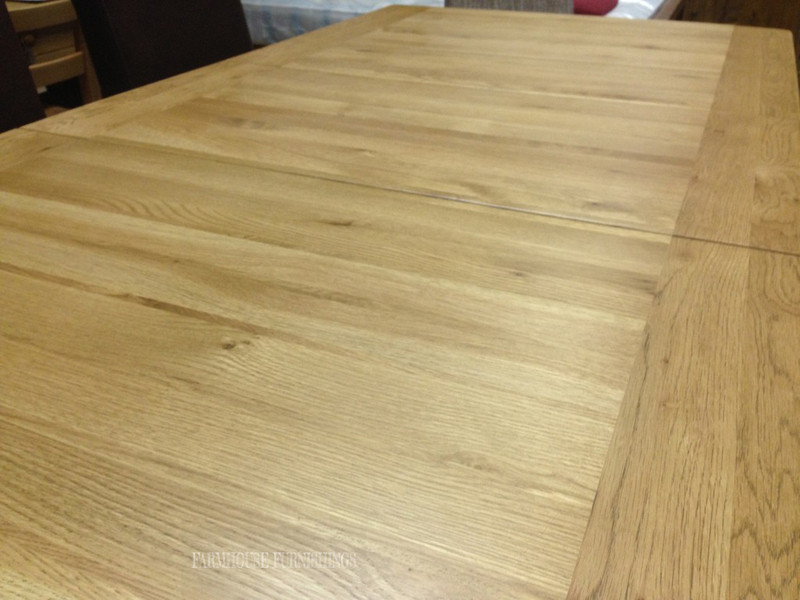 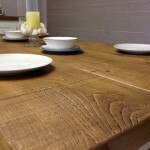 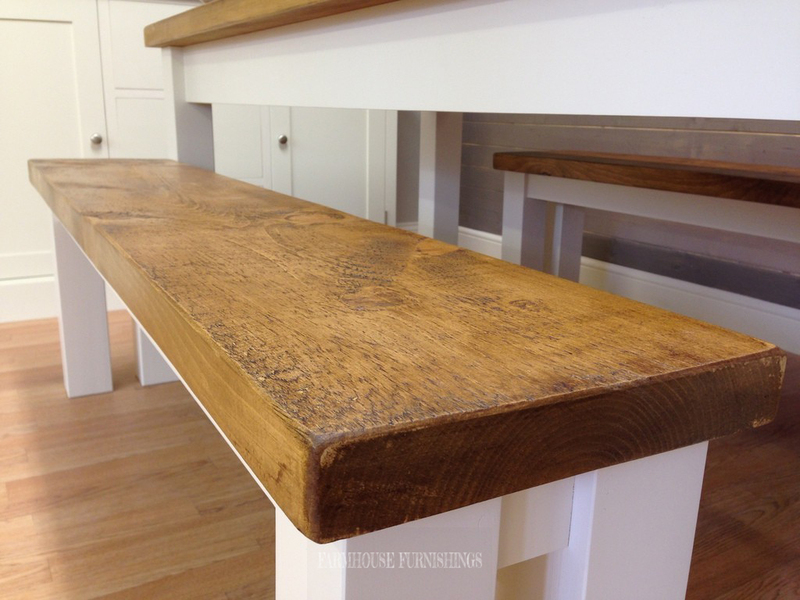 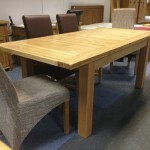 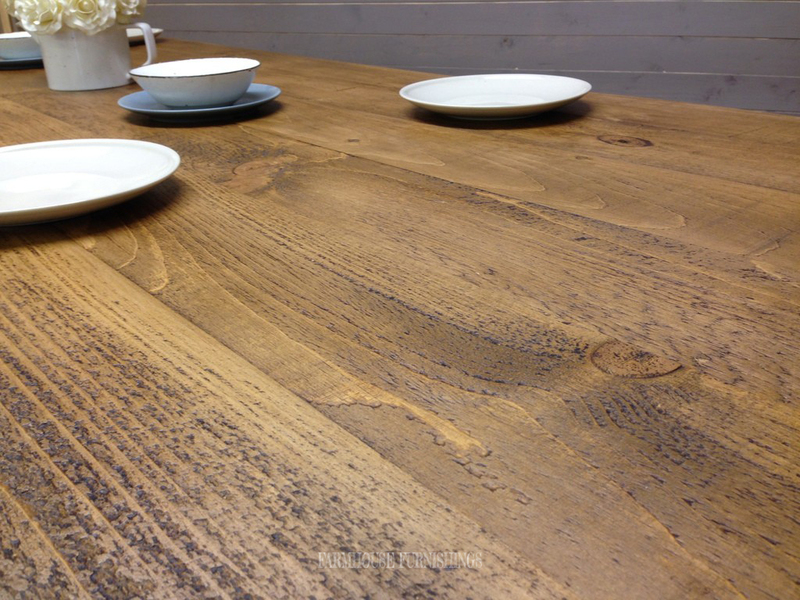 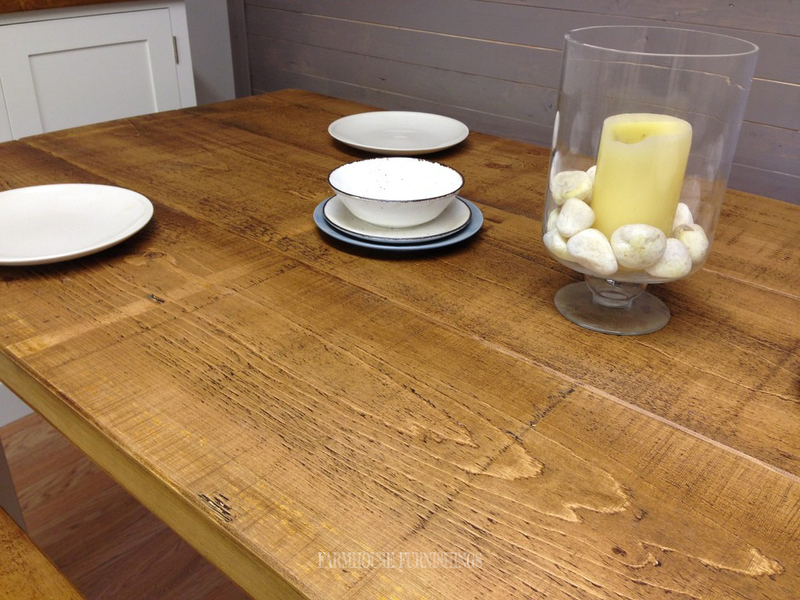 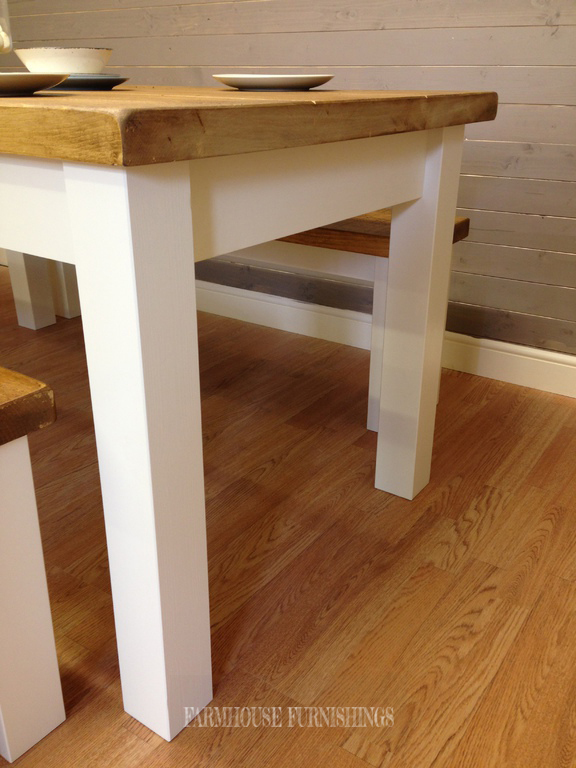 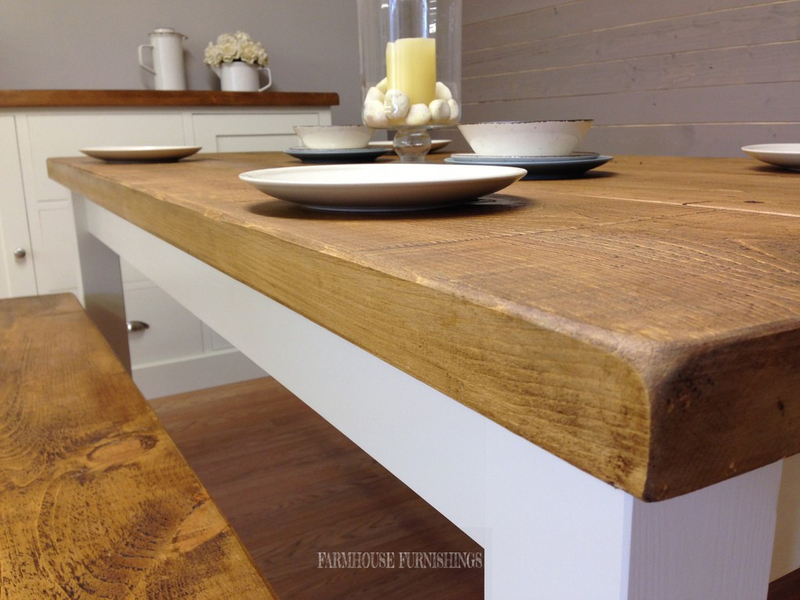 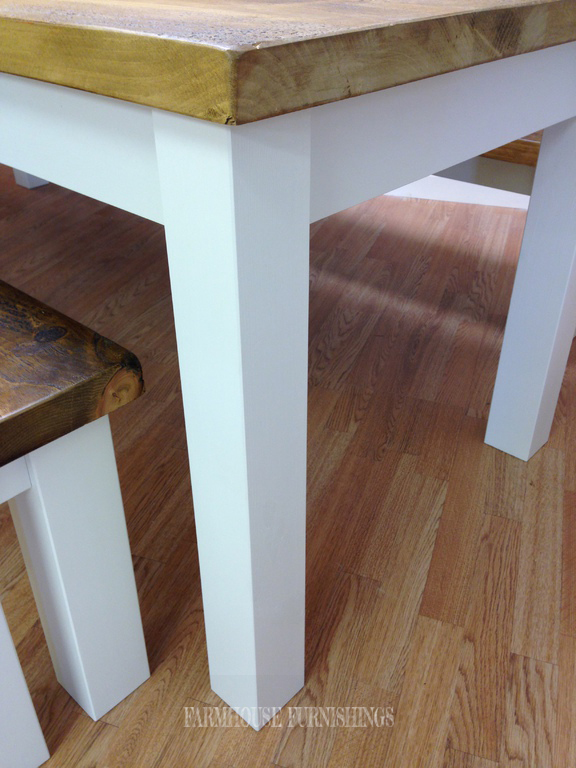 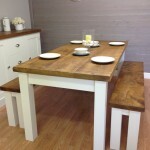 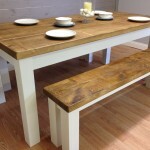 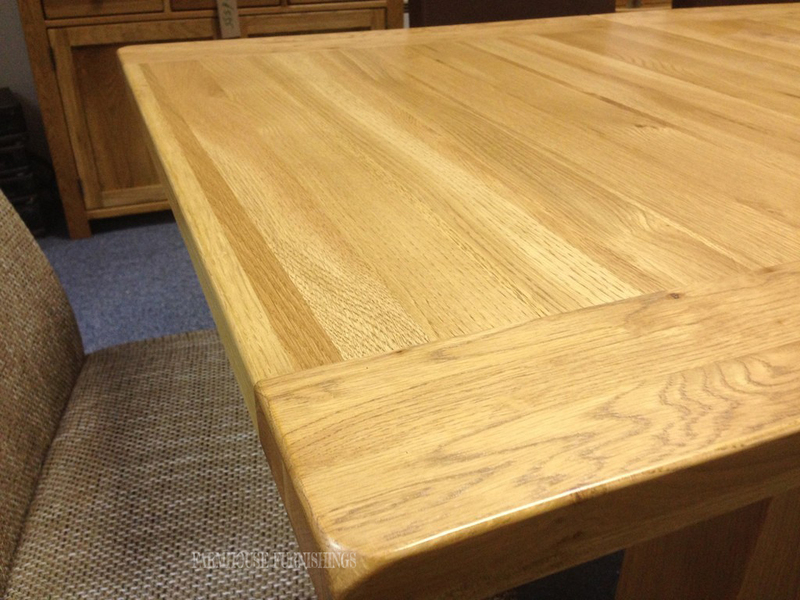 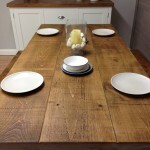 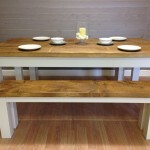 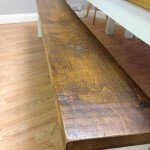 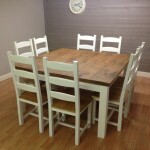 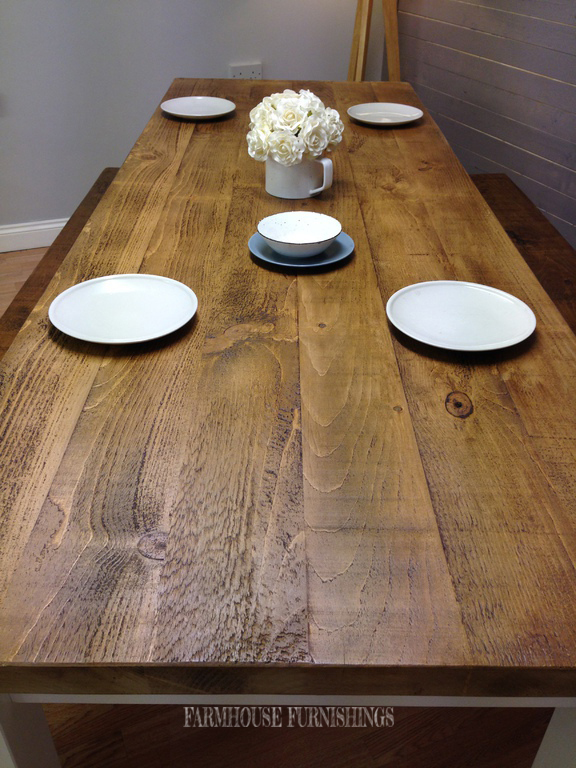 This stunning set has a huge plank/railway sleeper style worktop and has a real rustic charm. 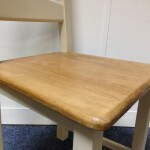 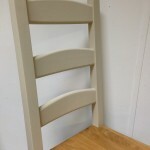 The legs have been painted in James White by Farrow and Ball but included in the price is your choice of any Farrow and Ball colour. 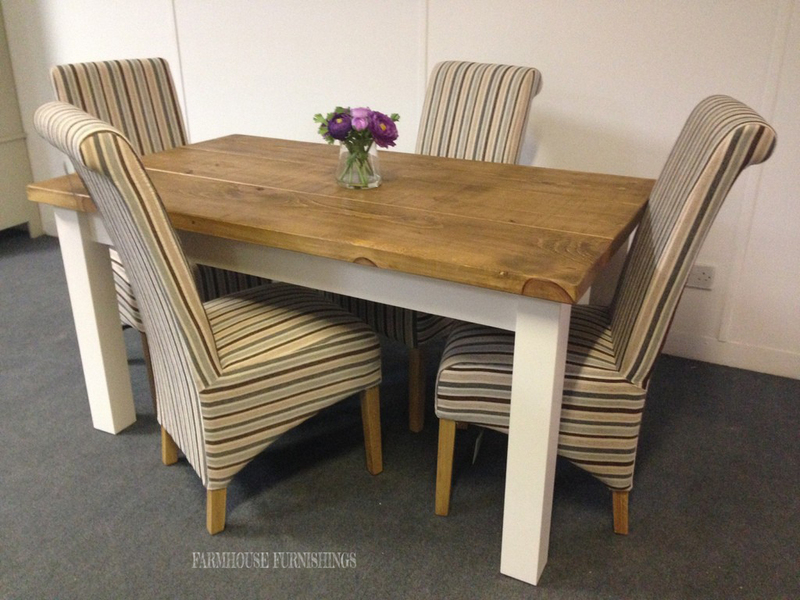 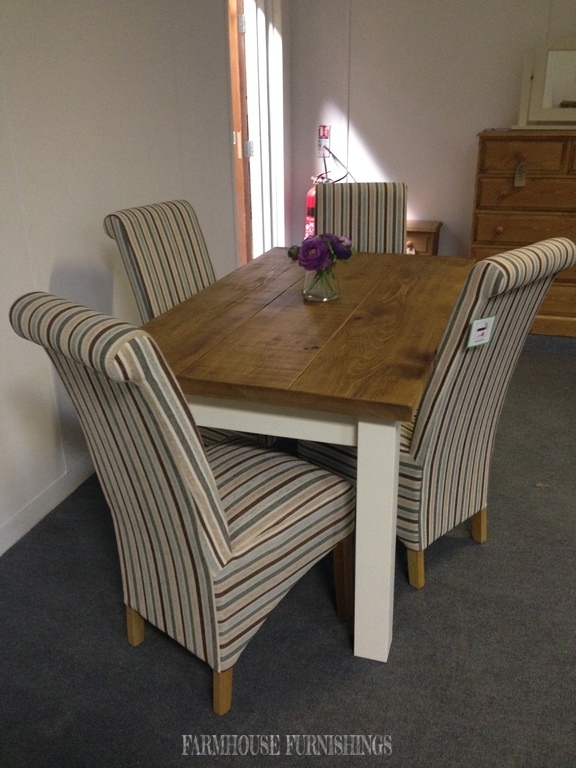 This is a lovely example of the mix of these goegeous teal stripe chairs and the rustic plank top table. 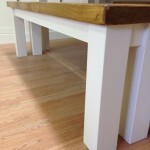 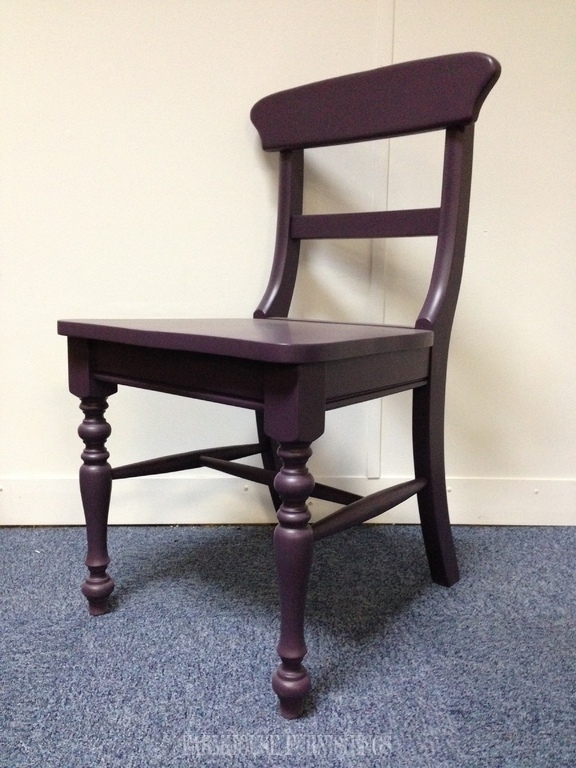 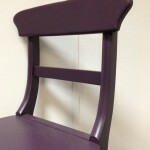 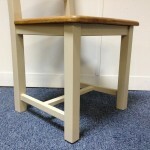 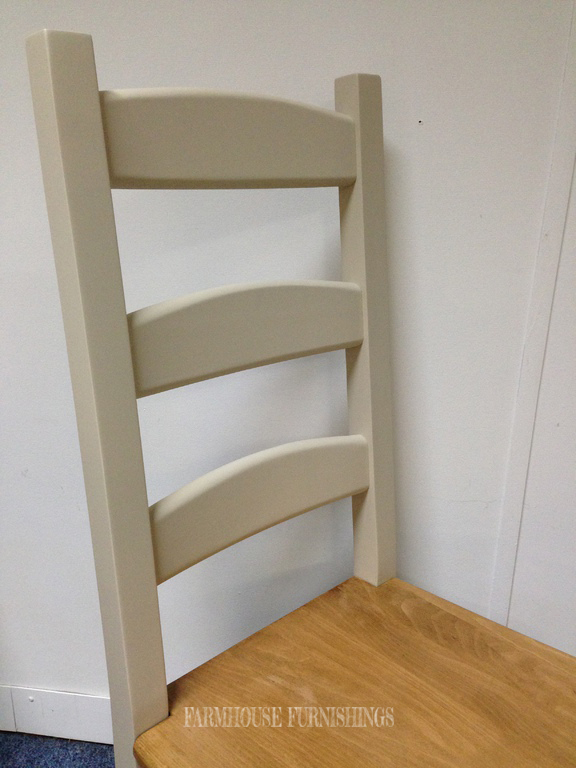 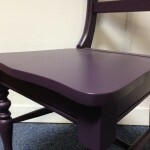 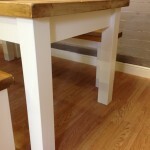 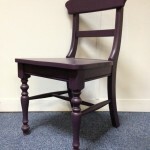 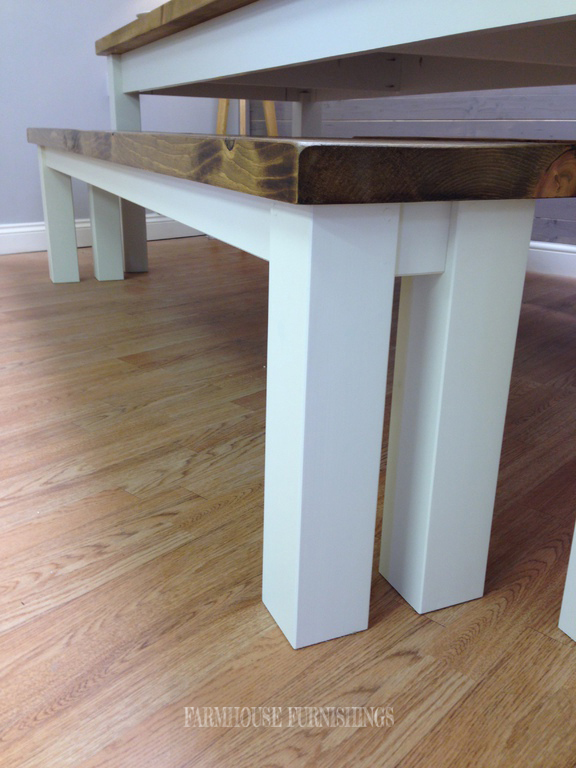 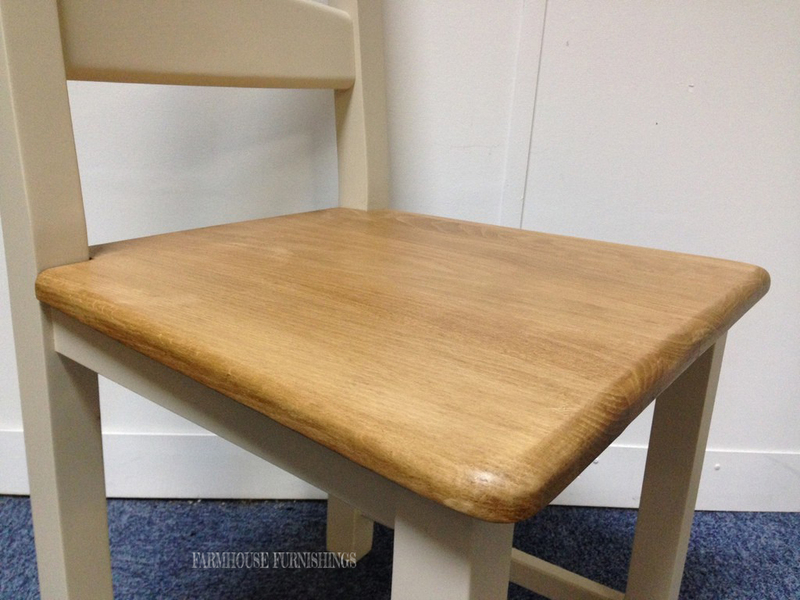 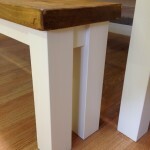 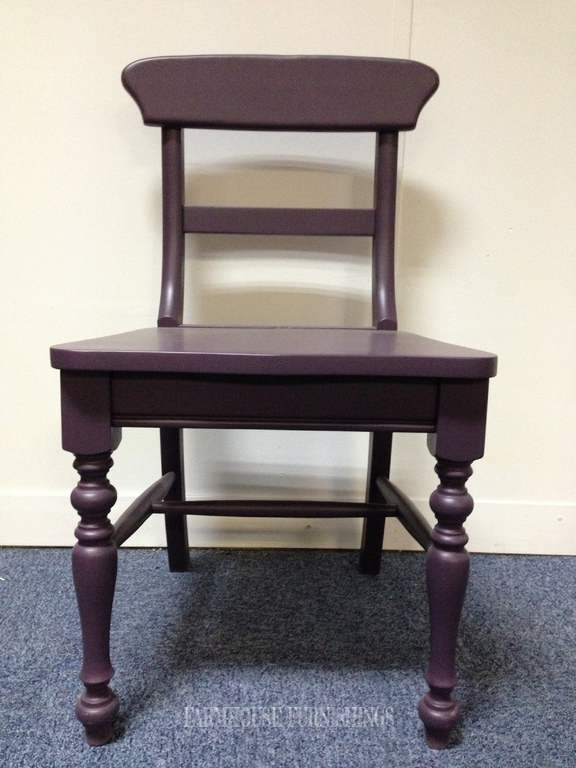 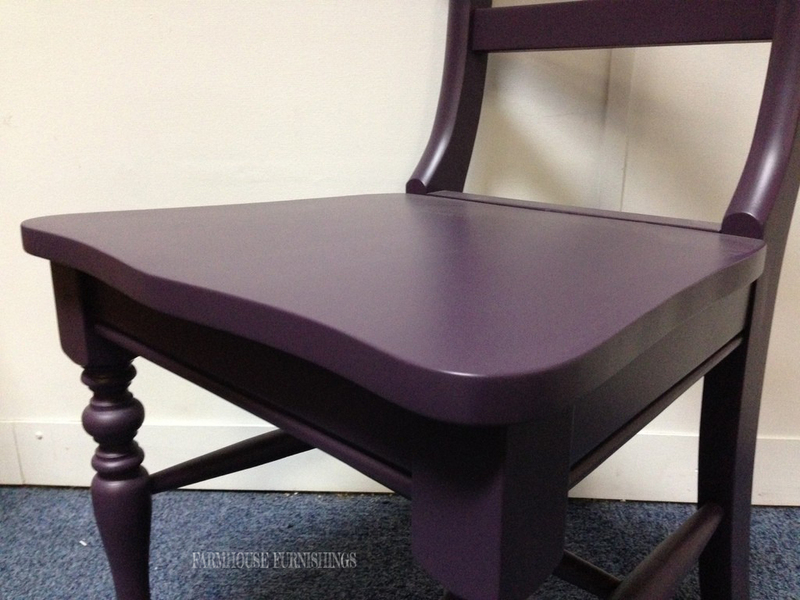 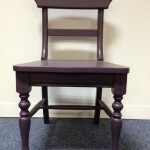 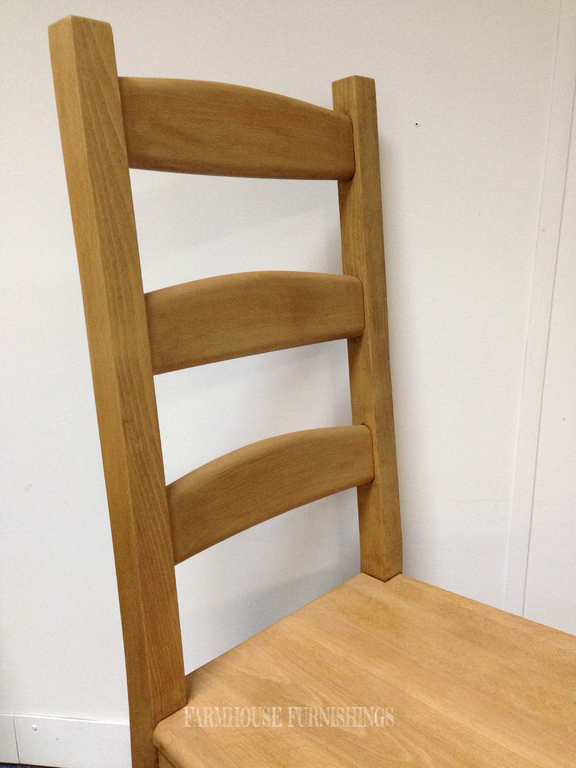 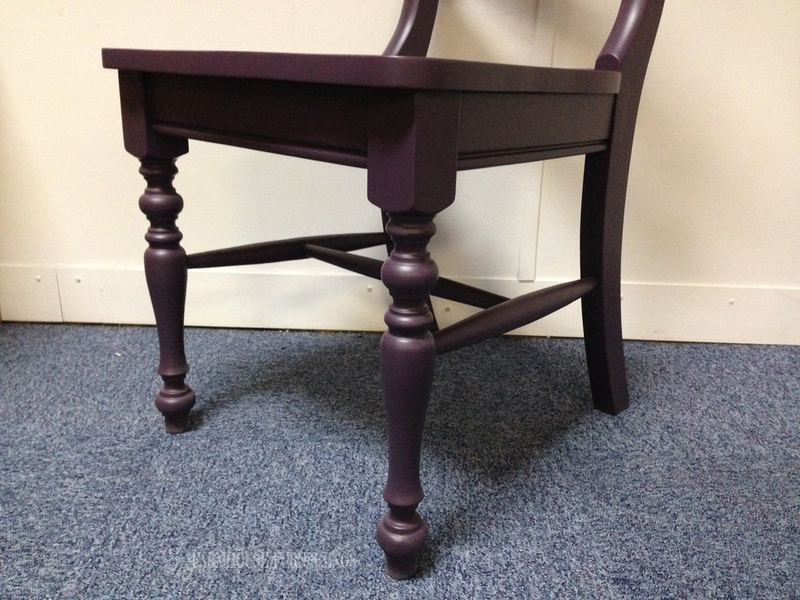 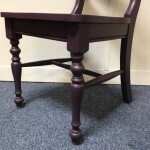 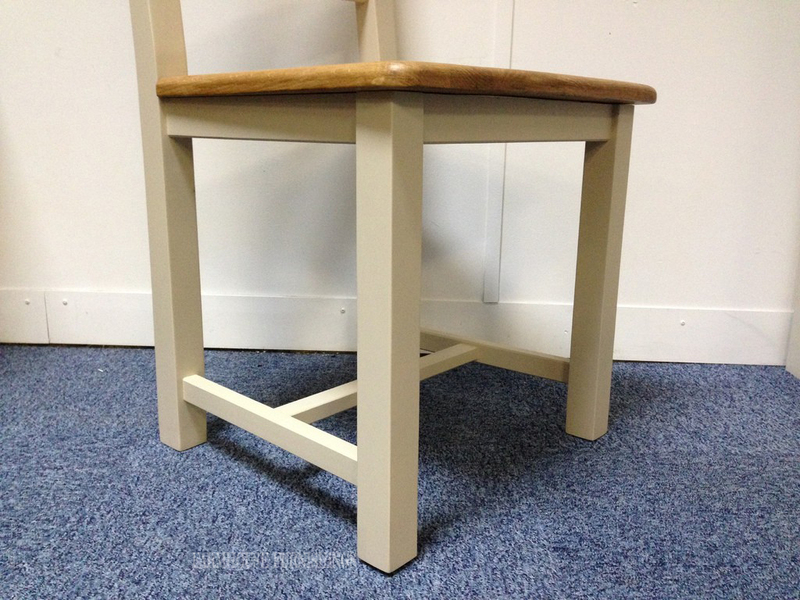 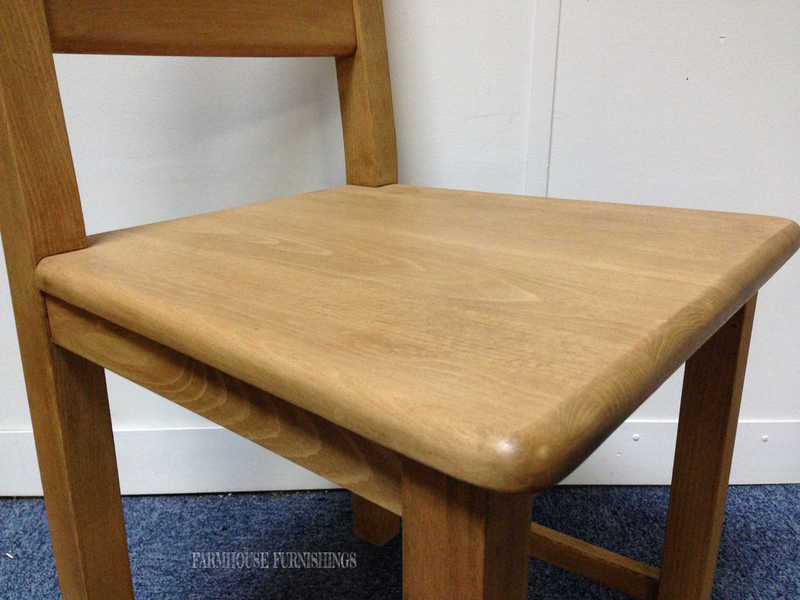 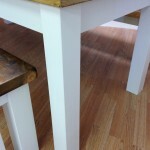 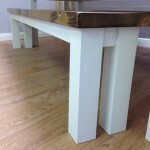 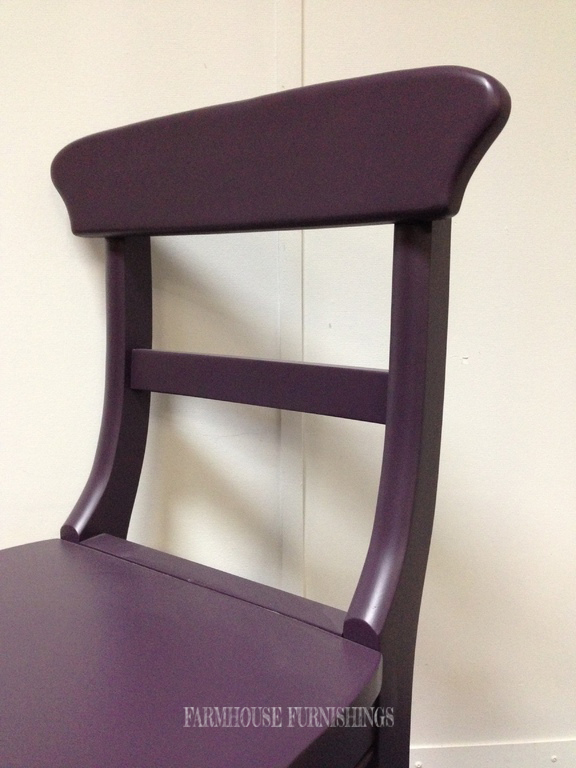 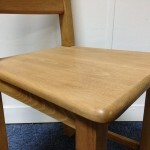 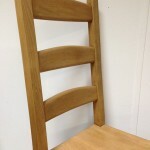 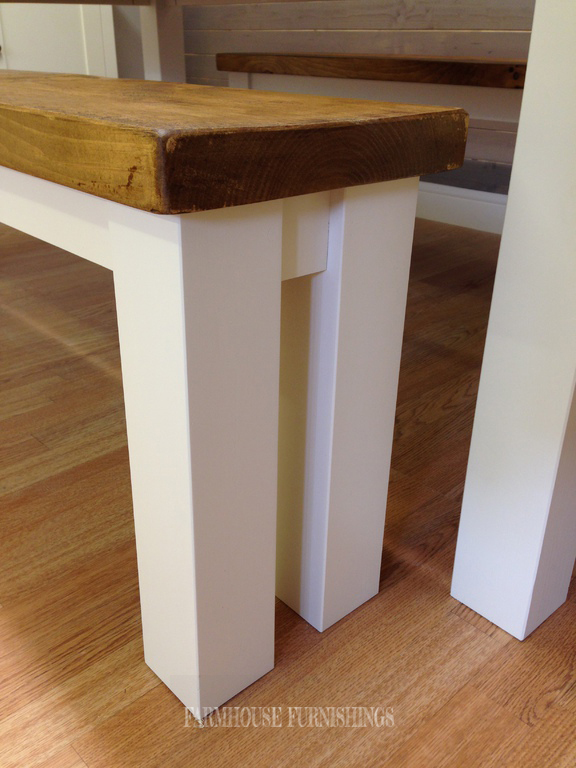 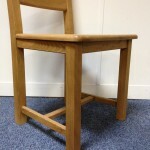 You can have the table legs painted in any Farrow and Ball colour included in the price. 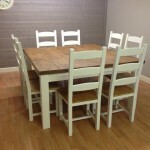 Painted in Elephants Breath by Farrow and Ball but you have the choice of any Farrow and Ball colour. 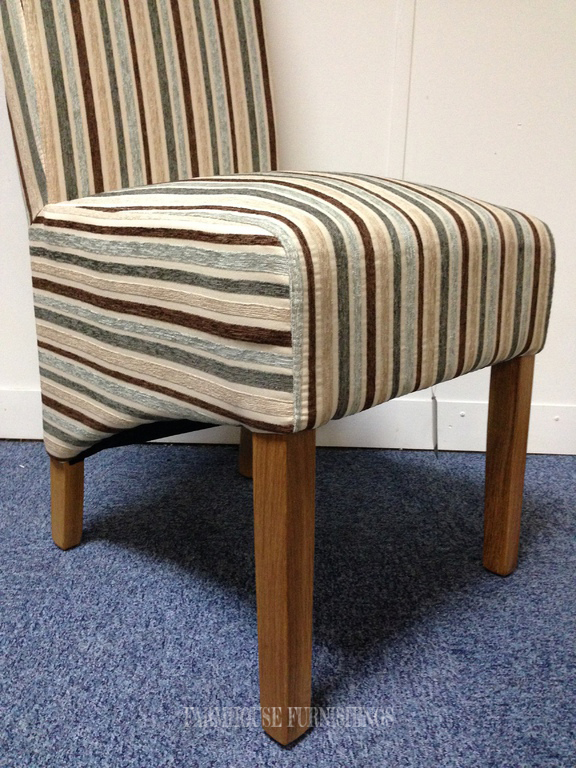 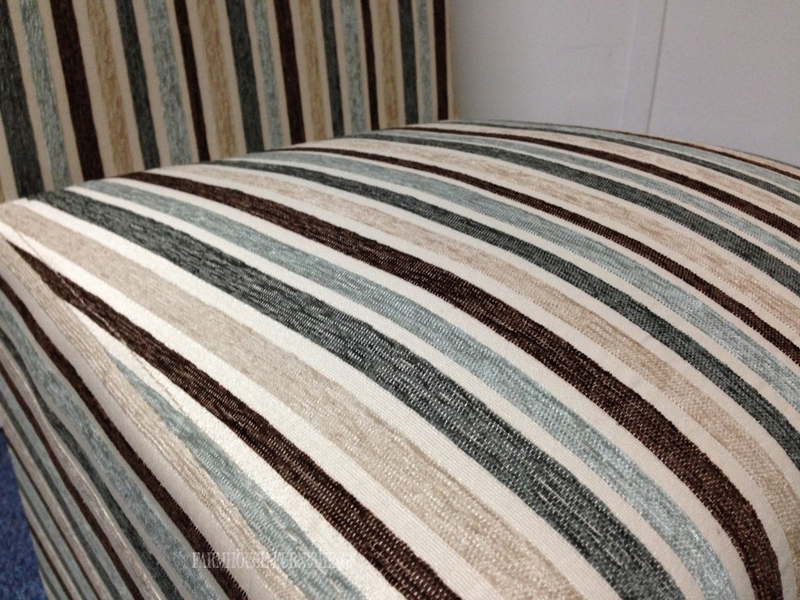 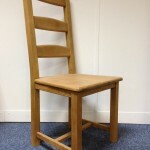 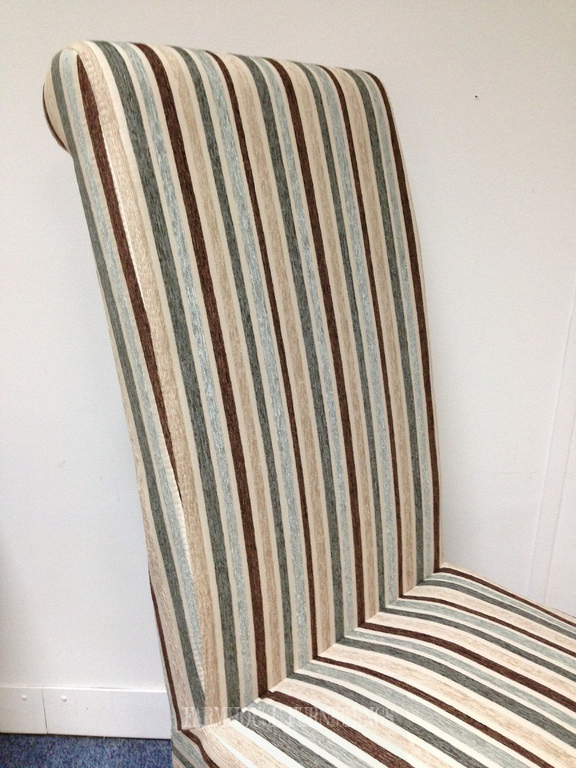 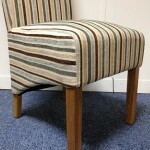 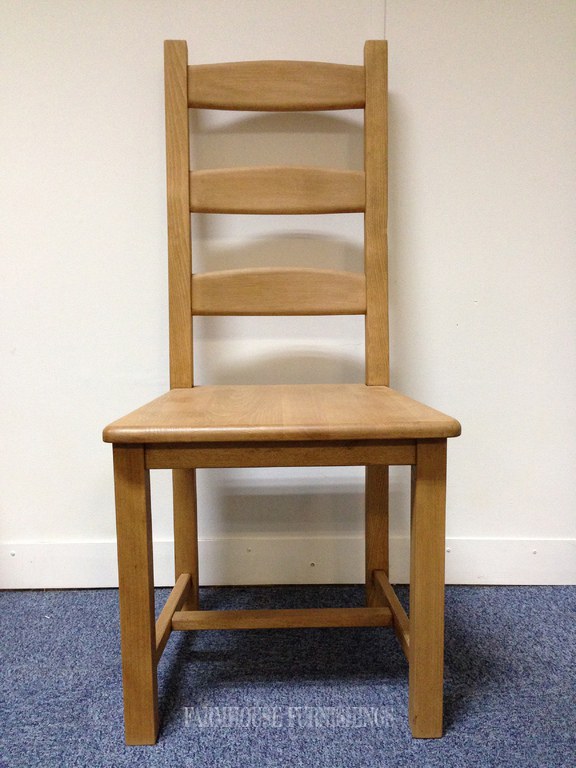 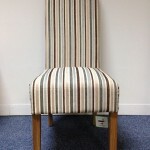 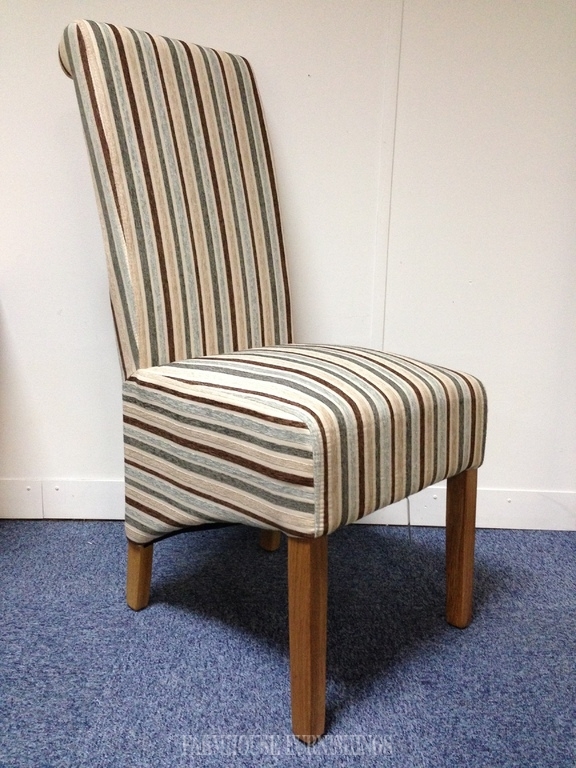 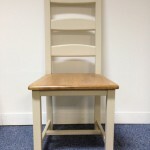 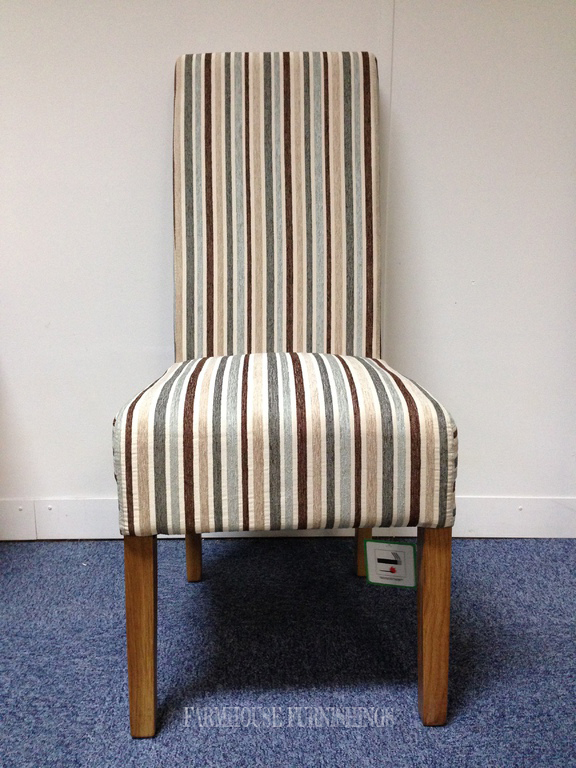 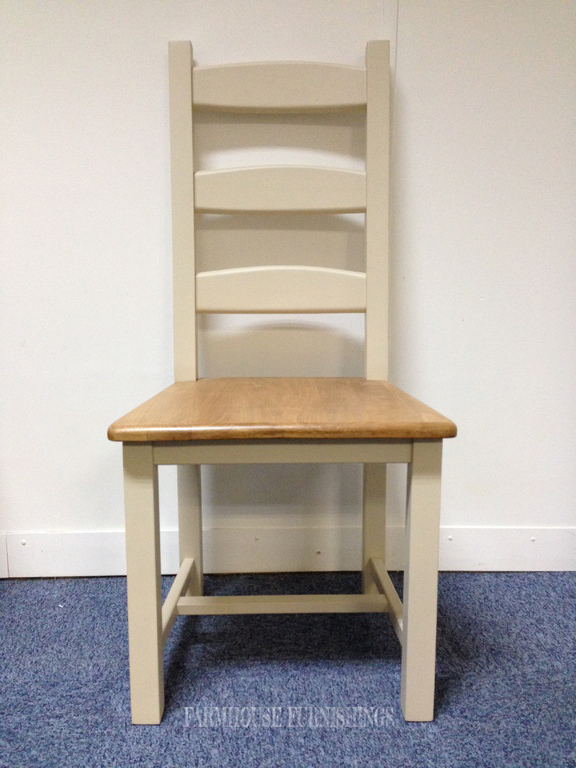 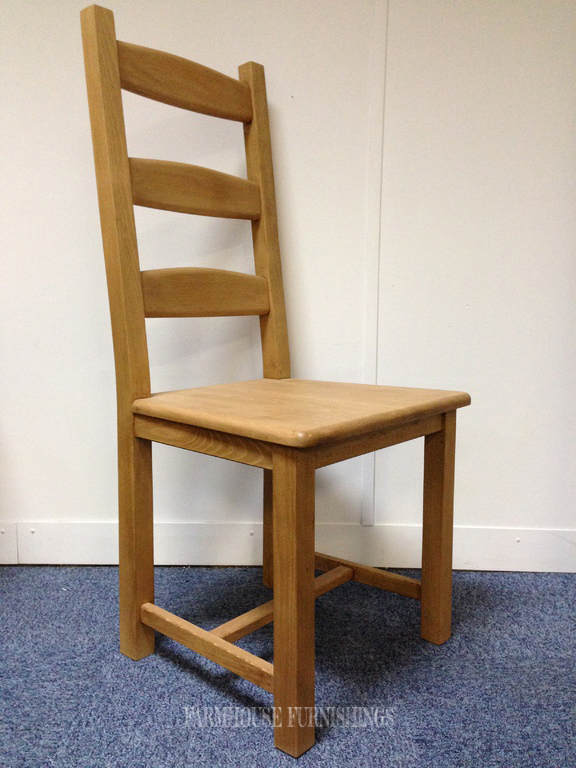 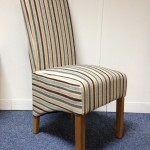 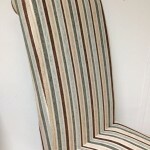 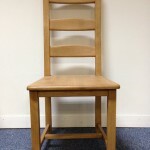 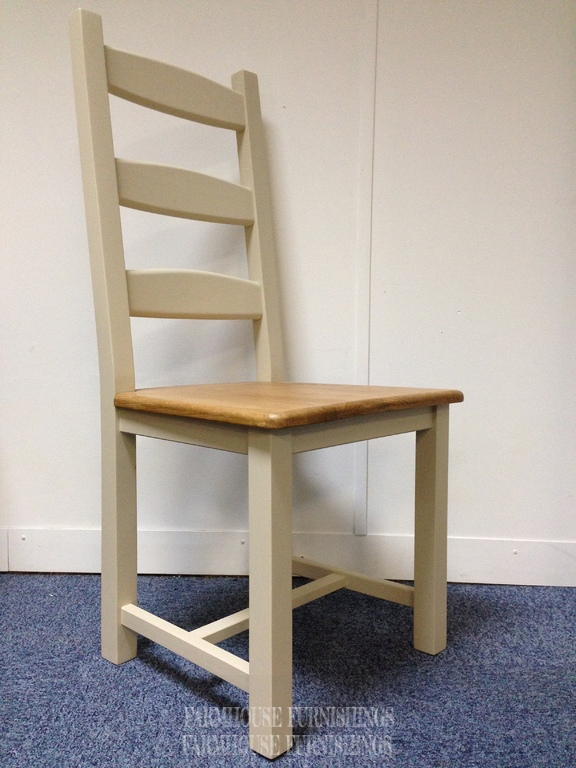 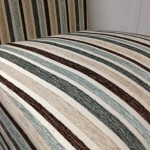 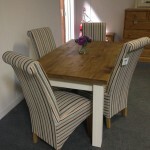 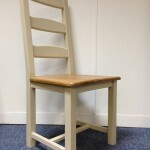 This gorgeous chair is upholstered in a stripy blue, teal, brown fabric with solid oak legs. 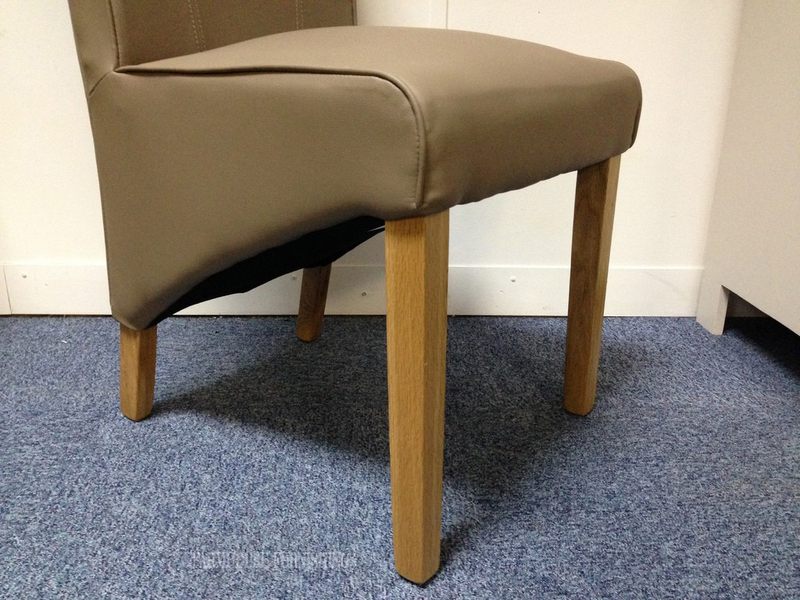 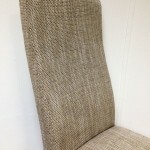 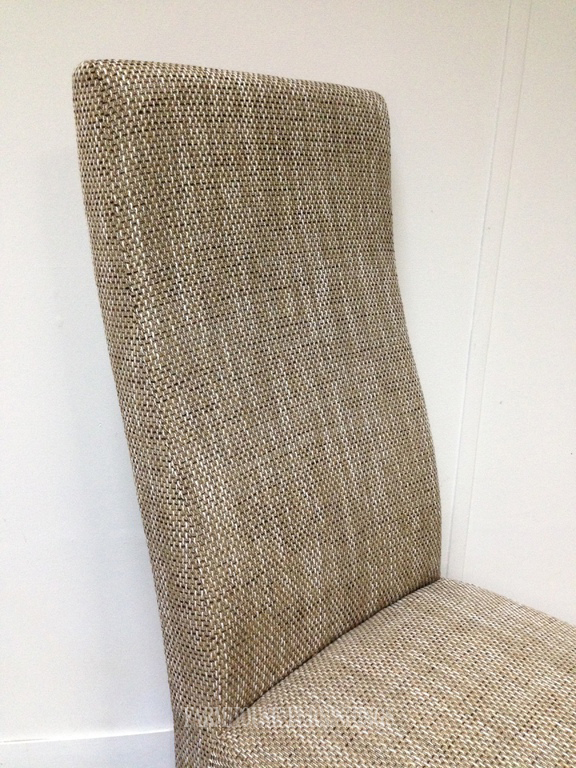 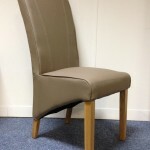 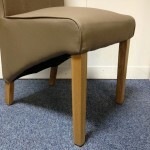 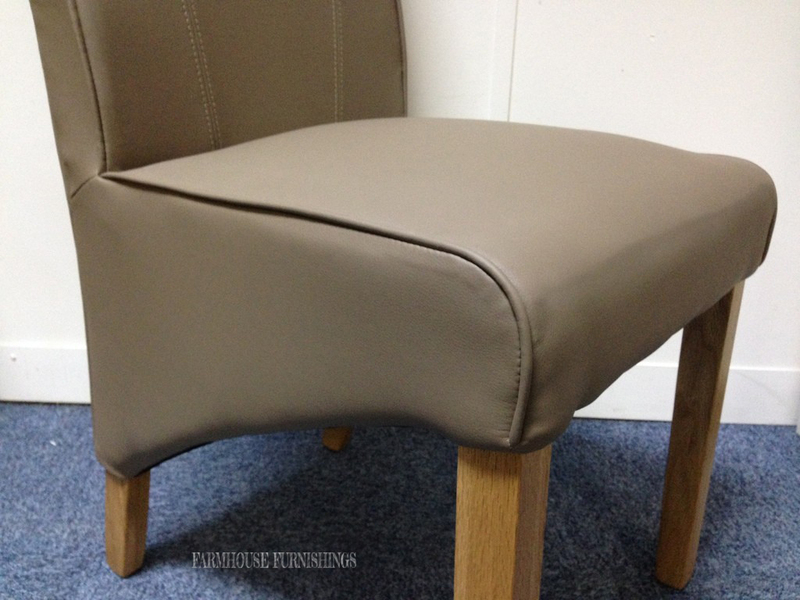 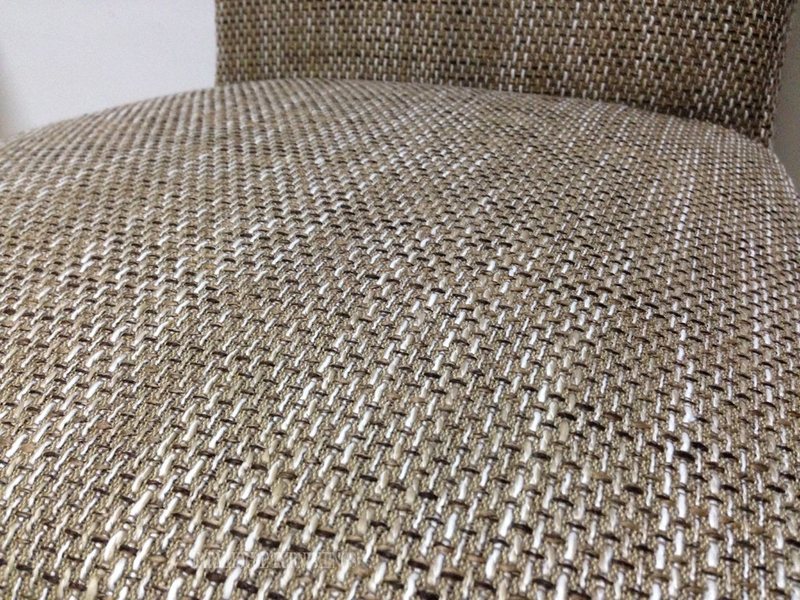 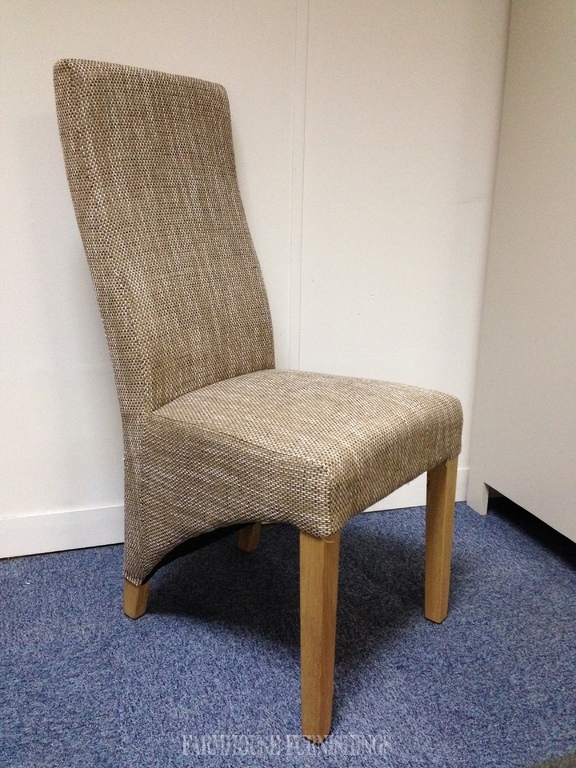 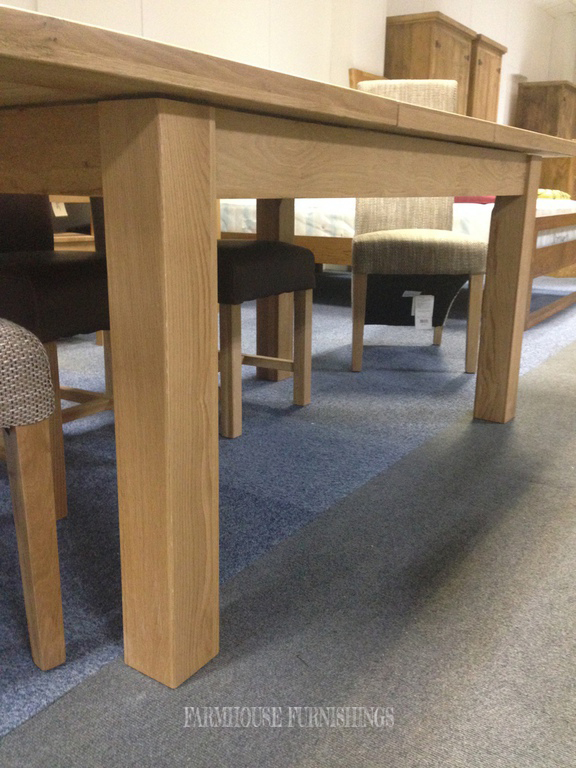 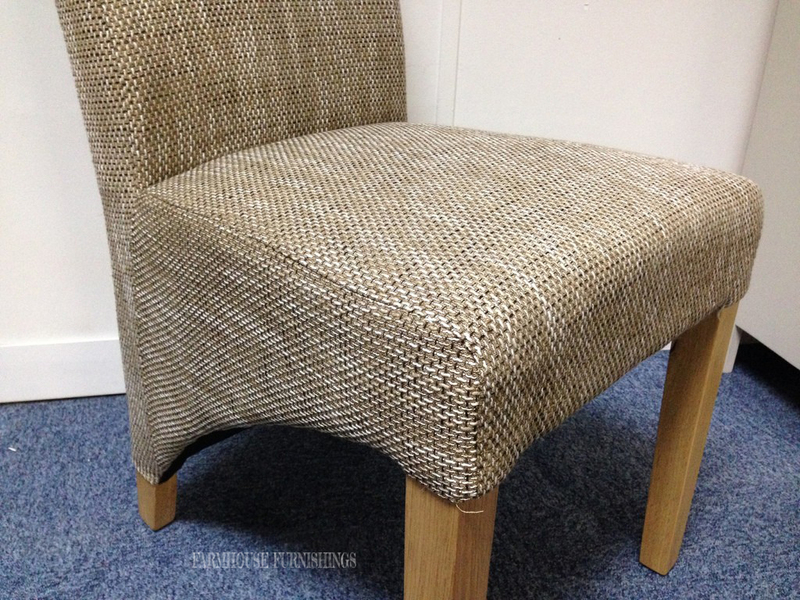 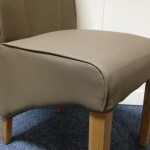 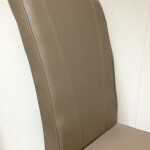 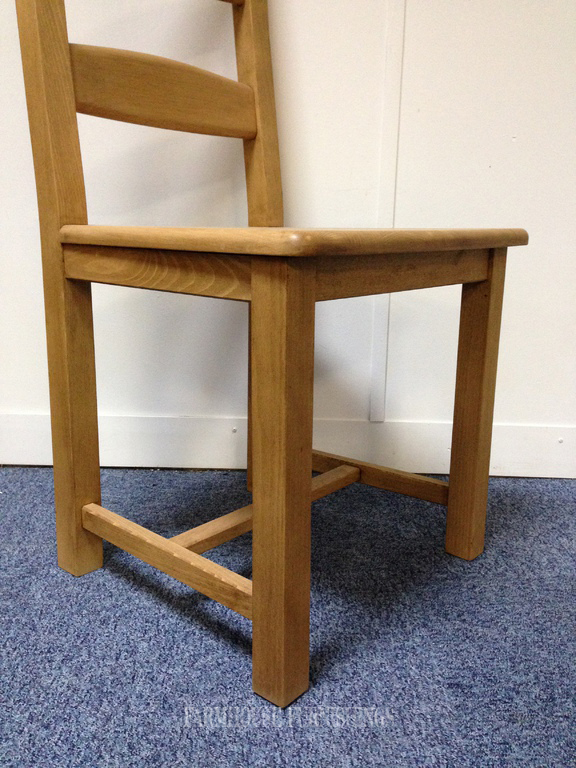 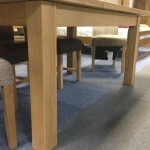 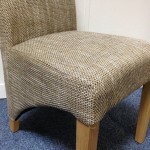 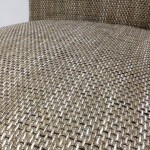 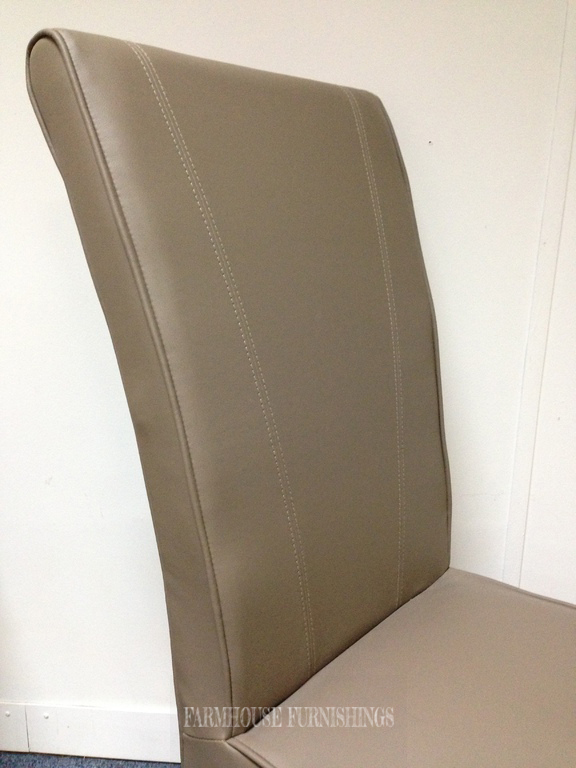 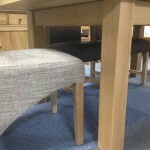 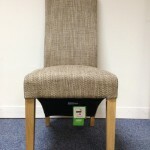 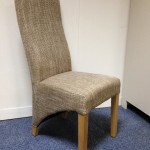 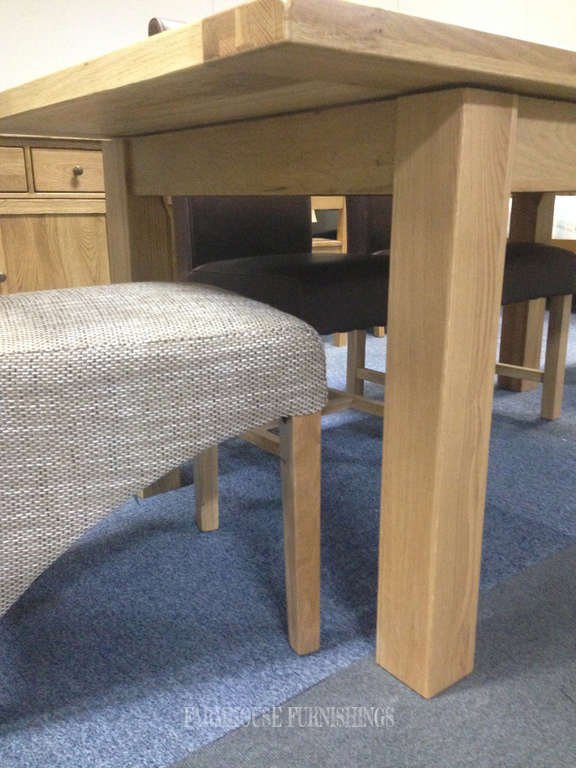 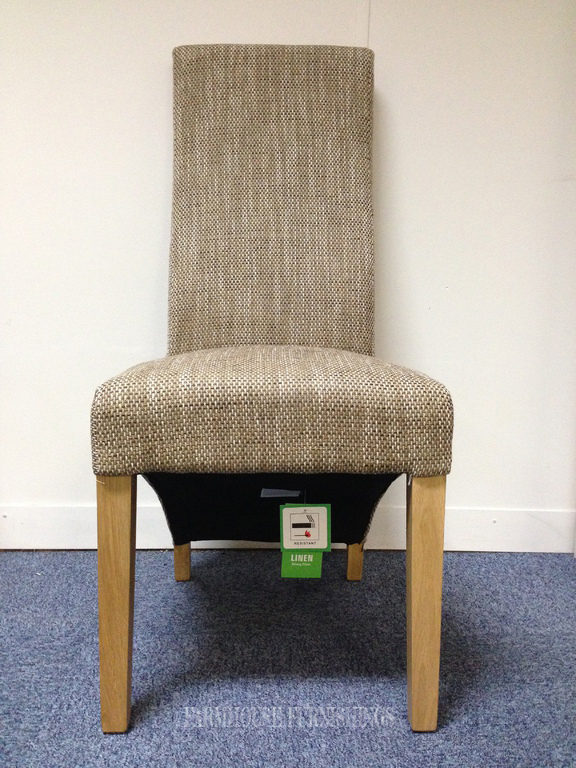 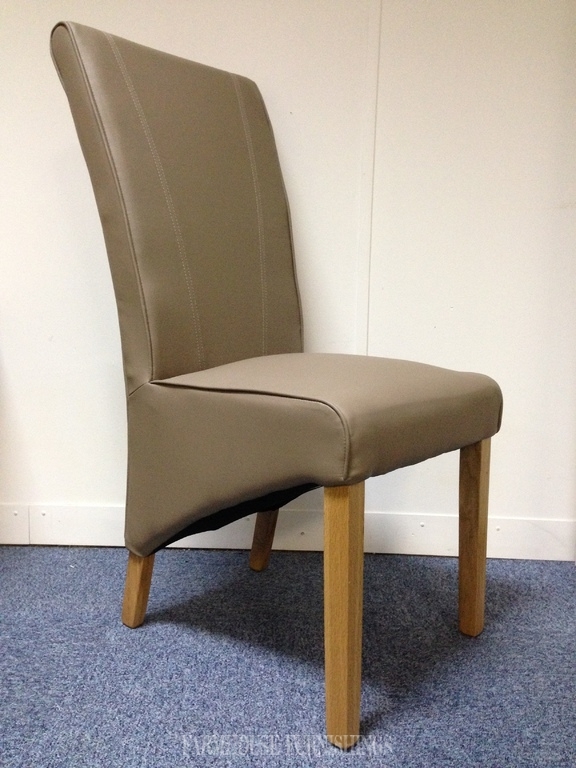 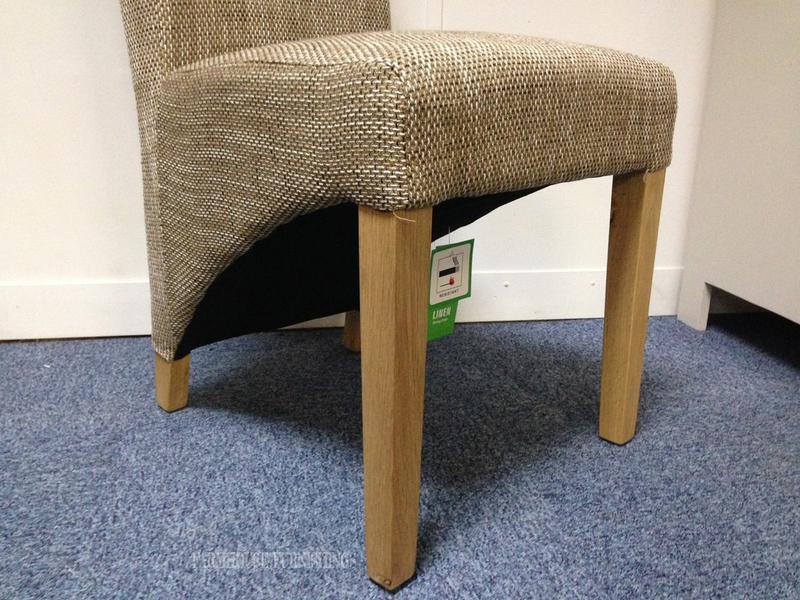 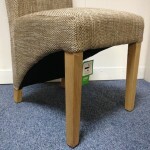 Upholstered in a lovely mushroom coloured weave fabric, with solid oak legs.